Employees appreciate and feel valued when employers show an interest in their personal and professional well being. By offering identity theft protection you increase your employee retention rates and have a competitive advantage when looking for new talent. When we think of digital security and cyber protection issues, ex-employees don’t often make it to the top of the list. On September 23rd a warning was issued by the FBI about security risks from former employees. That’s just former employees, but imagine the damage a current employee could do. It’s hard to imagine current employees taking malicious actions against your company, but breaches in cyber protection can happen. It’s human nature to get sloppy when we become comfortable. 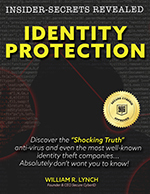 Identity theft is something people discuss regularly in today’s day and age. Monitoring your identity and the identity of your employees is a benefit to all parties involved. People make mistakes all the time, but often without realizing it, and they go about their days without a care that they broke their cyber protection. Protecting your company and employees from any dangers, whether self inflicted or un-noticed, is crucial to the success of your company. Competitors commonly go to extreme lengths to obtain information about your business that they can use to their competitive advantage. Breaches, hacks, or getting information from your past employees, all ways that a competitor could get the access they want. People gain access to information that is not theirs today, and all avenues must be guarded against. A cybersecurity firm is used to monitor potential problems. Don’t leave something as important as the security of your business to chance.